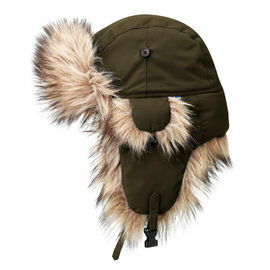 The Fjallraven No. 8 Anorak is a technical and premium-quality anorak, created to withstand tough use in forest and mountain environments throughout the year, even in exposed conditions. Made from a tried-and-tested blend of cotton and polyester, the anorak is wind- and water-resistant, with extra strong reinforcements at the shoulders, sleeves and seat. 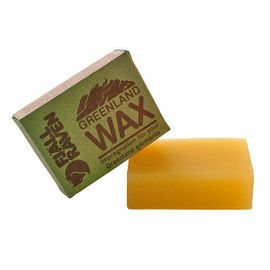 As part of Fjallraven's Numbers range, the No. 8 Anorak symbolises uncompromised design and quality. Constructed with a half-length zipper, extended back and large adjustable hood, this anorak gives effective and reliable protection from the elements. The hood itself can be adjusted to fit perfectly around the head, while the new peak construction gives the option to fold it back in two different positions, depending on whether the wearer wants to prioritise peripheral visibility or protection from the wind. When not in use, the hood acts as a generous collar, which protects and warms the neck. 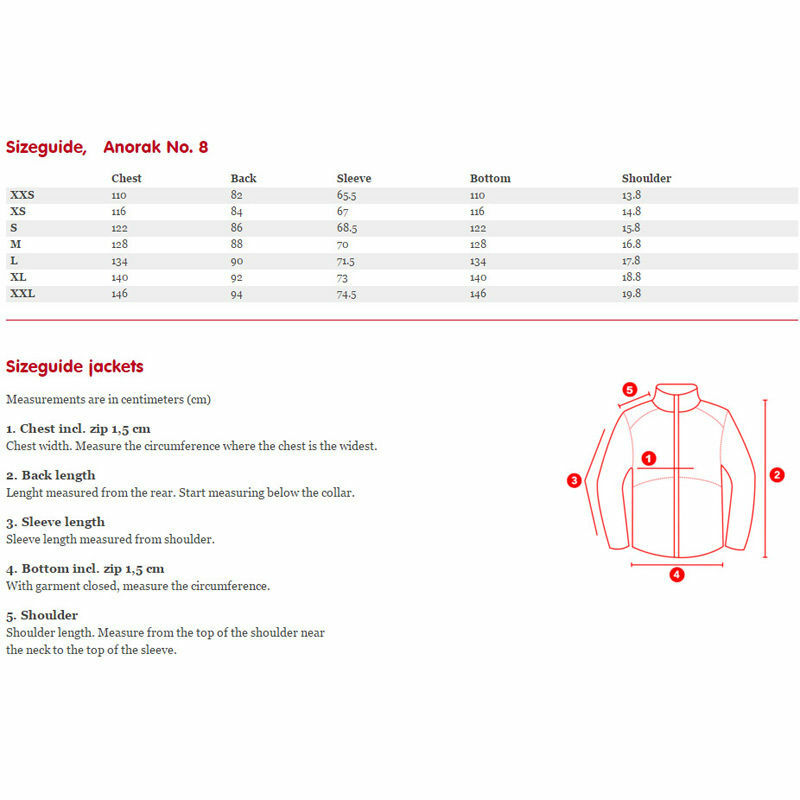 In warmer weather the front zipper can be opened, and the inner collar unbuttoned and folded to the side to let out excess heat. Further ventilation is provided by two long zippers up the sides which can be opened to release excess heat; they also make getting in and out of the anorak easier. The No. 8 Anorak has been made from G-1000 Eco, an environmentally-friendly blend of organic cotton and recycled polyester, with extra durable G-1000 Heavy Duty on the shoulders, arms and lengthened back section. The fabric and details were chosen to minimise their impact on the environment (utilising leftover strips of leather for example), while also making it easy to replace exposed sections after years of use. The large kangaroo pocket on the front of the anorak can be accessed both from the top and the sides, and all pockets feature solid zipper closures hidden underneath protective storm flaps. The waist is adjustable via a drawstring at the back, while a second drawstring allows adjustment of the lower hem; the sleeve cuffs can be adjusted with buttons. The No.8 Anorak features a particularly spacious fit, so please bear this in mind when ordering. Large bellow pocket for maps, GPS units, small tools etc. 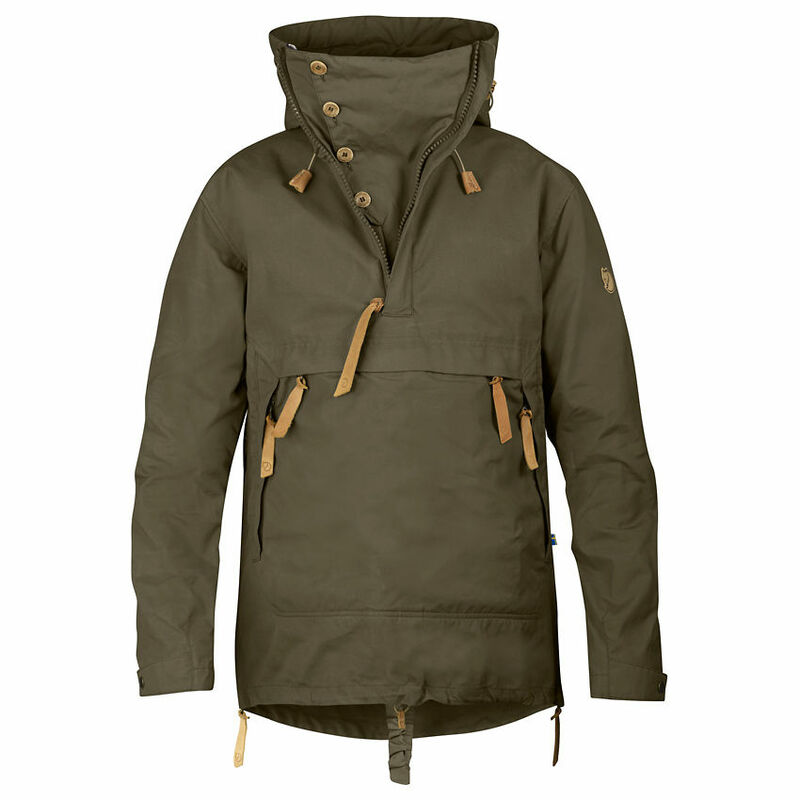 Fjallraven Anorak No.8 - Dark Olive is rated 5/5 based on 30 customer reviews. Size is correct. 190 cm tall, 105 kg, XXL. Solid bit of kit. The zippers do look weak however. They look too fine and I will have to be careful with them. Excellent item. Pricey, but you get what you pay for. I am 6ft 1in and 11½ stone (i.e. slim). I compared Medium and Large (thanks to Woodlore for allowing this). The No.8 allows room for absolutely masses of layering. Both M and L were an acceptable fit for me when wearing baselayer + thick woollen sweater + thick hollofil gillet. The L looked saggy when I removed the gillet, so I kept the M. All other Fjällräven jackets I have owned have been size L. Weight: Acceptably light considering its obvious durability. For a lighter jacket of more-or-less the same design, the Fjällräven Singi Anorak is worth considering. Durability: As I still have a Fjällräven Greenland anorak that I bought in the 1980s, I fully expect the No.8 to out-live me. It’s worth pointing out that G1000 is not immune to barbed wire. Design: I like anoraks with a large front kangaroo pocket, but the pocket does limit the neck opening, which restricts ventilation. Adding side openings with zips overcomes this - I use the side zips far more than I imagined I would. I like the fact that one can fasten the waist belt of a backpack underneath the front flap, retaining a flow of air up inside the anorak. The tunnel hood seems a disproportionate amount of fabric until you need it, after which you wouldn’t want any other; it is especially good at keeping rain off your spectacles. All together, I reckon the No 8 is a very well-considered compromise. Gripes: I wish the zip on the front pocket opened from the centre rather than the ends; this would allow one to pop binoculars or camera into the pocket for protection while still supporting the weight on a neck-strap. I wish the strap that adjusts the forward fall of the hood had been made with poppers rather than Velcro. The chin-flap tends to sag forward; I feel it would have been better at half the width. I don’t understand why the neck zip is double-ended. Finally, I would have preferred a natural but less dingy colour - Fjällräven seem to be going through a particularly bleak period colour-wise. Quality and price: Construction quality is superb. I think you get your money’s worth. 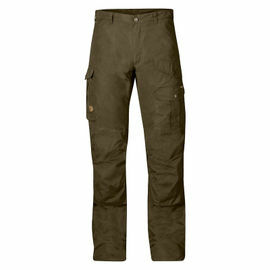 Water-resistance: I have worn Fjällräven jackets and trousers through the last 35 years, as well as Gore-tex and Ventile competitors, and I know the limitations of G-1000 and wax. If you hold G-1000 up to the light, you can see the pin-holes in the weave that make it very breathable but also ultimately let water through. But G-1000 doesn’t stiffen up when wet and it dries quickly. I have worn the No.8 in moderate to heavy rain in windy conditions and the rain did seep in eventually. I generally wear wool underneath, so I stay adequately comfortable while active. If I was going on a long trek in exposed conditions, or sitting still in the rain, I would take a poncho as well. 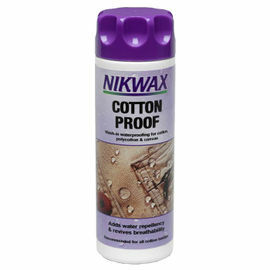 Amazing product, I’m impressed with the material, very well made! I will highly recommended it! So far so good! It’s super high quality as you would expect and perfect for the job. 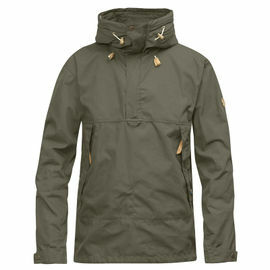 This is a great anorak. Looks like the 'business' for what it's intended for - bushcraft! I haven't had a chance to use the jacket in 'anger' but looking forward to it. One thing about Fjallraven - size. I originally went with a large with this jacket, following the Fjallraven guidelines, but ended up with the medium. I have a 42' chest but the large was just way too big. What a lot of people fail to mention on here is their body shape. I have broad shoulders with an athletic build. The large just felt like I was wearing a tent. People say to downsize. If you are heavier set, then a large would be fine. If you're slimmer, then downsize. The jacket itself comes already waxed, but I am planning on putting another coat of wax on the jacket. It's an expensive jacket. I see it as an investment. My first purchase from Woodlore. I'm happy with the service, communication and delivery. Just received this fantastic outerwear piece. Not had chance to test it, but it looks and feels quality and very durable. They do come big, I bought a small but could have got away with extra small. I have had a Fjallraven Keb jacket in medium in the past and that fitted me just right so hope that gives some indication with the size. But I will keep size small as I will be layering up for winter. Delivery and service is excellent with this company so also 5 stars for them. Absolutely brilliant piece of kit. Incredibly well made and worth every cent. 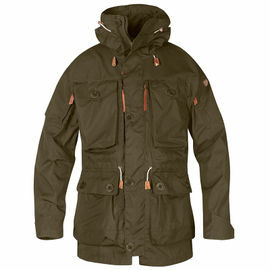 Very tough hard wearing jacket, great for hunting, skiing or trekking. It’s one of those staple items you simply should have if you’re into the outdoors. Fjallraven gear is simply outstanding. Love it. As always, the next day my No.8 arrived. Top quality as always from Fjallraven, but just a note of caution, I ordered the XL and I just got away with it as sleeves are a bit longer on me and the large I think would have been too tight when wearing extra clothing. Can't wait to give it a good road test. For me it was worth saving up my money. What a fantastic jacket, I’ve worn it for the latter part of the shooting season in all weathers and I’m totally impressed, waterproof, windproof and durable and to top it, it looks smart.